Irritable bowel syndrome (IBS) causes an array of symptoms that can have a significant impact on a person’s overall quality of life. 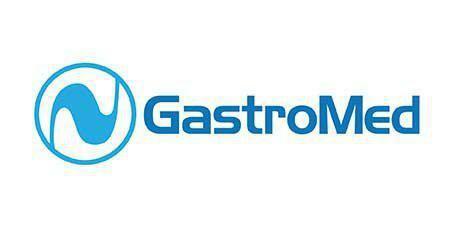 As a top-ranked gastroenterology practice in Miami, FL, GastroMed helps patients relieve IBS symptoms, including pain, bloating, constipation and diarrhea. Irritable bowel syndrome or IBS is a chronic condition that causes an array of symptoms, like bloating, abdominal cramps, diarrhea, constipation and mucusy stools. Some patients with IBS can also have nausea. The symptoms and severity of IBS can vary from one person to another, and they often vary in intensity over time. The specific cause of IBS hasn’t been identified, but many factors can contribute to IBS symptoms, including chronic stress, bacterial or viral infections, an imbalance in healthy gut flora, hormonal fluctuations, and sensitivities to foods or medicines. Some research indicates some symptoms of IBS may be exacerbated by abnormal nerve signaling that causes the bowel to contract or “spasm,” resulting in cramping and irregular bowels. IBS diagnosis begins with a physical exam and a review of the patient’s symptoms and medical history. Because symptoms can be very similar to other bowel-related conditions, minimally-invasive evaluations like colonoscopy or flexible sigmoidoscopy may be used to evaluate the bowel and to rule out these conditions. There is no blood test or other tests to definitively diagnose IBS, so diagnosis is usually made by ruling out other possible causes of symptoms in addition to evaluating existing symptoms using specific criteria, including how often the symptoms occur and how long they last. What treatments are available for people with IBS? Many people with IBS respond to lifestyle changes like avoiding foods that trigger symptoms or learning to manage stress. Medications can also be prescribed to treat specific symptoms like cramps, bloating and diarrhea. Treatment may need to be amended over time as the patient’s symptoms and needs change, and regular office visits can help ensure treatment stays on track. Is IBS the same as IBD? No. IBD stands for inflammatory bowel disease which includes both ulcerative colitis and Crohn’s disease. IBS and IBD may cause some of the same symptoms, but IBD causes permanent changes in the bowel itself, including sores or ulcers that can bleed. IBS does not cause changes in the bowel tissue, and the two conditions are treated differently.